The best Hello Fresh Cyber Monday deal is here! Now through 11/29, use coupon code 17W48CM1F to save 60% off your first Hello Fresh order! Full details: *Offer valid for new consumers on a qualifying order. Promotion and/or offer not valid on prior purchases, gift cards, gift certificates, taxes or shipping and processing charges. Consumer must pay any applicable sales tax. 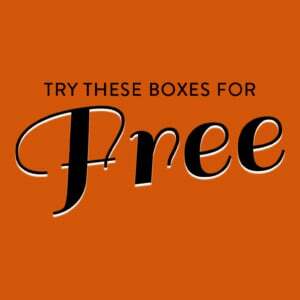 To qualify, consumer will receive up to $36 off their first box, total promotion value will vary based on box type. Box must be redeemed by 11/29/17 11:59PM EST. Offer may not be combined with any other sale, promotion, discount, code, credit, coupon, and/or offer. Promotions and/or offers have no cash value. Offer cannot be sold or otherwise bartered. Void where prohibited, taxed or otherwise restricted. HelloFresh has the right to end or modify any promotion and/or offer at any time. Other restrictions may apply. Offers only apply to the United States unless otherwise noted. Hello Fresh is a big fat zero for me! I ordered them on Black Friday with delivery today. All day I waited to cook and now as I should be cooking dinner for four hungry kids… no delivery. Apparently my card number wasn’t correct. Did they tell me? No. They sent a confirmation of my delivery choices and six other emails since then but couldn’t tell me I hadn’t entered the right credit card number. Back to Blue Apron or whatever for me. Nothing worse than hungry kids at dinner time and no plan.